We can not create a folder with its name as "Con" in windows and many people are unaware of this fact and the reason behind this. So I am here to clarify everything about the CON issue in windows. I will also discuss about the way to create such folders in windows. If you haven't tried yet, try creating the folder with the name con and you will find that the folder can not be renamed to con. This is not the only name that shows such unique behavior. Other such names that can not be the name of folders are CON, PRN, AUX, CLOCK$, NUL, COM0, COM1, COM2, COM3, COM4, COM5, COM6, COM7, COM8, COM9, LPT0, LPT1, LPT2, LPT3, LPT4, LPT5, LPT6, LPT7, LPT8, and LPT9(list taken from Wikipedia). These words are the reserved words and date back to old MS-DOS days. These names were reserved for MS-DOS device files and hence to prevent any kind of ambiguity, these names are not allowed for normal files and folders. But there's way. Now comes the role of Universal Naming Convention(or Uniform Naming Convention) commonly known as UNC which specifies a common syntax to describe the location of a network resource, such as a shared file, directory, or printer. You can read about UNC in the wikipedia entry. 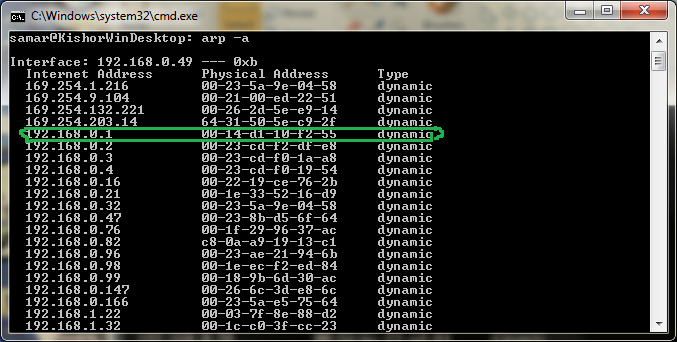 UNC was introduced after the introduction of MS-DOS so MS-DOS systems do not understand the UNC naming i.e. 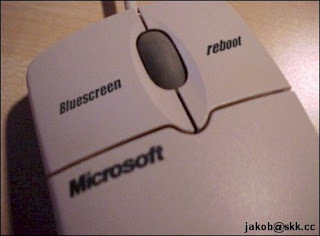 it is not backward compatible to MS-DOS. That said, we can create folders with special names in our local system using the UNC syntax. The single dot (.) is used to indicate the local system as per the UNC definition. Now to create a folder with any of the reserved words, we will use mkdir command. For example, to create a CON folder in my friend's laptop's Desktop folder, I typed the following command in the command prompt. On issuing this command, your con folder should be gone. You can try the same with the other reserved file names. Also, check the following screenshots for clarity. 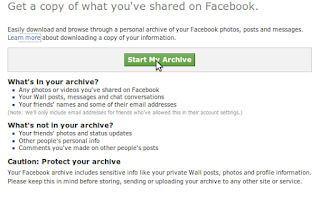 Well you might want to download your facebook information as an offline archive just like you would like to have backup of your other information. 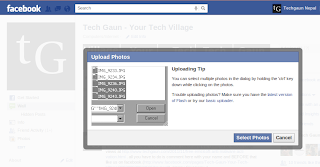 In this How To, I am sharing a helpful information on how you can backup your facebook information easily. 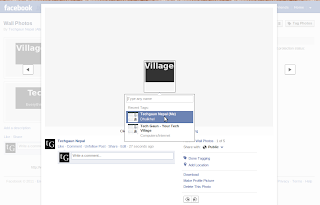 You can download following information from your facebook profile. 2) Click on Account option on the right top corner of your facebook page and then click on Account Settings from the dropdown menu. 3) Now click on the Download a copy link. 4) On the next page, click on the Start My Archive button. 5) A new pop-up will appear and again click on the Start My Archive button from the pop-up. 6) You will receive an email when your archive is ready for download. This may take some time. You can check your inbox later to view and download the archive containing your facebook information. For more information about downloading information, check the Facebook Help page. Earlier, many people were wondering how can they get timeline for their facebook page when they were helping us with votes in the library so I thought why not make a blog post so that it would help people out there to get the timeline feature in their profile. What is timeline? 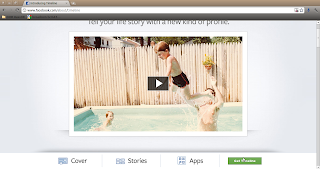 : Who would better explain than facebook itself regarding its feature... Read about timeline. Now to get timeline, go to Introducing Timeline page and if you are not already using timeline, a bottom footer will appear with the Get Timeline button at the right side. Hi everybody, this time I am writing about the different command line methods of adding regular user to the sudoers file in linux or in more obvious way, giving access to root privilege to certain regular users. The sudoers file(located at /etc/sudoers by default[in my distro i.e. ubuntu]) contains the information of groups and users who can execute commands with root privilege. I'll list 3 ways of adding users to the sudoers list so continue reading the post. I hope these methods come useful for you. Hi everybody, I've coded a very small snippet of code that will perform very basic PHP obfuscation so that programmers can protect their code from non-programmers. The obfuscation is by no means the advanced one and easily reversible. Only purpose is to prevent script kiddies and leechers from taking away your source code and distributing those as theirs. 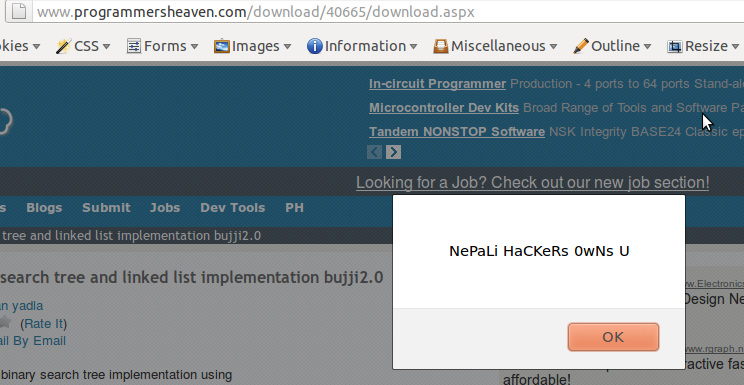 Click here to access the PHP Obfuscator. 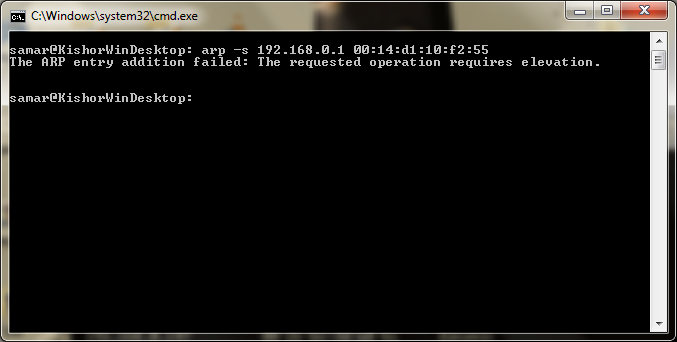 Hi everybody, sometimes you need to copy files from remote server and only thing you have access to might be SSh. If you can access remote server via SSh, then you can copy files from the remote server using scp(secure file copy). This short tip will help you copy files from remote server using scp. Following was the command I used to copy a file from remote server to my computer. 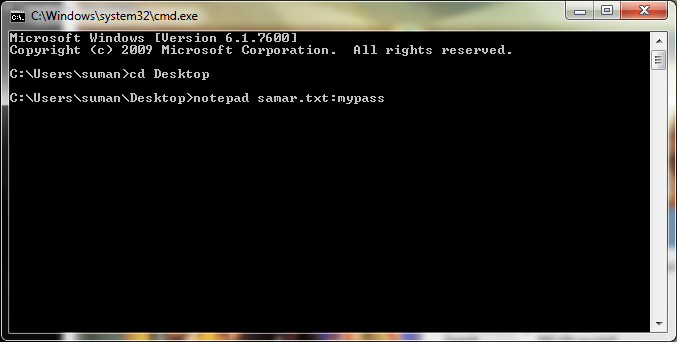 It will then ask for the password for the corresponding user before you can copy the file. 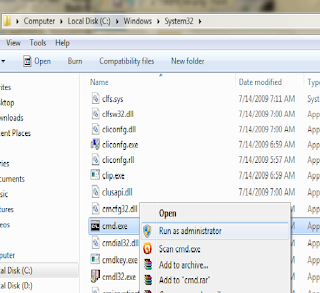 Also, there are GUIs for this purpose as well such as WinSCP for windows and Krusader file manager and gftp for linux distros. GUI would make things easier but still I am used to with command lines and I hope you are as well. I have uploaded a text file containing many torrent tracker URLs. Number of seeders might increase if we have more torrent trackers for the torrent file we are downloading. This post will help you how to add those trackers; I had written that post specifically for utorrent however the process will be similar for other torrent clients. In this post we will see some of the useful aliases that I have made to work faster while I'm working in my system. From that, you can figure out such useful aliases for yourself. With this little customization, you will find so much ease and speed in doing different tasks you need to perform repeatedly. Either you are a regular linux user or system administrator or tech-geek, you will want to make use of alias to makes several things shorter and easier. Temporary aliases can be created using the alias command in the terminal. So to test the aliases I've posted below, you can type them in the terminal to see the effect temporarily. If you want to make aliases permanent, you can edit ~/.bashrc file and add those aliases inside this file. Even better, to separate aliases from the .bashrc file, you can put all your aliases by creating a new file ~/.bash_aliases and paste all your aliases in this file. Either way, you'll achieve the permanent aliases for yourself and you'll be finding things going easy and fast for you. The above aliases can help you while you are inside deep directory structure and want to get out to certain outer level in the same structure. With this post, what I would like to say is that there is no limit in making these aliases, eventually you will find the necessary aliases for yourself. If you have any other useful general purpose aliases, please feel free to share as the comment. I had a scenario in which I had to switch between two directories frequently while I was working on the remote server over SSh. Typing the directory paths frequently was getting so tedious that I had to know some way to switch between two directories with a single short command. Here is a small tip that will be useful in such cases. I am presenting my scenario and you'll be able to adapt with your own scenario. So following are two directories I keep on working always. So I have the scenario something like below. This information is for the tech enthusiasts who like to know how it works. When I navigate to another directory from the shell for the first time, a new environment variable OLDPWD is set which stores the path for previous directory before the last cd command was executed. 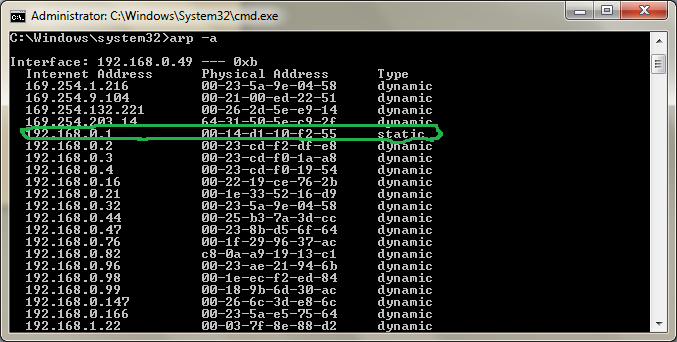 Now what cd - does is switch to the path that OLDPWD variable is storing. If OLDPWD is empty, you will see the "bash: cd: OLDPWD not set" error. This series of articles can be very useful for many beginners out there but after the thedefaced and darkmindz went down, I haven't really seen these articles anywhere else. So I thought to share this article over here. Its NOT written by me and I would like to provide the full credit to the original author as well. -Taken from Wikipedia Wikipedia if you want to read more. Some of the most common fields that I have noticed are search fields. These will most likely return the following page showing the input. Example: I search for "Orson Wells" and the page returned: 0 Results for query "Orson Wells" or something of that sort. There are simple ways to get around this, since I am a php coder, my favorite way is the htmlentities(), you can also use strip_tags(). Some other search engines might not show what you searched for on the page itself, but in the field, the value is still there. this should escape the html field value, if it is not sanitized correctly and execute the [XSS] on the page. Basically, any field that asks for user input that is either POST or GET and is in the source of the following page, can be cross-site scripted if not properly sanitized. This is one of my favorite ways to XSS a site. Some people decide to create their own BB code or use on that is poorly sanitized. This can be very easy to exploit. Let's say there is an option to make my font red using hte [font color="red"] BB code. And if it is poorly sanitized, the page following it would contain an alert box saying /hi/. There are so many different ways to escape BB code it is almost too easy. Some other sites have [IMG]. This one can be easy also. GooQuiz is a small web based tool to use as a networked googling quiz software. This tool was developed for IT Meet 2011 event organized by Kathmandu University Computer Club on Dec 4-5, 2011. The tool allows any number of users to access the system and participate in the googling quiz. A question is given and its answer has to be given within the allocated time after using the google search engine. The person to answer the question first wins the game. - Copy all the files in the folder "googling" to your web folder. - Open ./lib/classes/DBConnection.php and then set the correct database server, username and password. - Finally open ./config/config.php and set the different configurations as per your need. - Admin panel is located at ./admin/ and if you need to access admin panel from remote computers, set the $localonly = 0. - Finally, this tool is yet to be completed and requires little bit techie person to handle it. Addition of questions and few other stuffs should be done from MySQL interface. Coding might be rough since I had to do it in a single night within very minimum time available. And a lot of stuffs are not user-friendly and admin-friendly. Maybe I'll extend it in the next year IT Meet event. Till then, cya. Bye. And I would like to thank Brisha for quickly designing the layout of the tool. Bchunk is a CD image format conversion tool that is capable of converting CD images from bin/cue to iso/cdr formats. Converting a .bin/.cue file to .iso can be done by using the bchunk command line tool. The bin/cue format is used by some non-Unix cd-writing software, but is not supported on most other cd-writing programs. image.bin is the raw cd image file. image.cue is the track index file containing track types and offsets. basename is used for the beginning part of the created track files. The produced .iso track contains an ISO file system, which can be mounted through a loop device on Linux systems, or written on a CD-R using cdrecord. The .cdr tracks are in the native CD audio format. They can be either written on a CD-R using cdrecord -audio, or converted to WAV (or any other sound format for that matter) using sox. 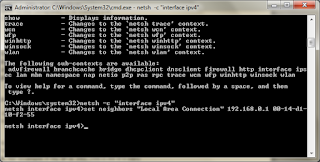 Following are the available switches in the command, explore them if you need them. -v Makes binchunker print some more unnecessary messages, which should not be of interest for anyone. -w Makes binchunker write audio tracks in WAV format. -s Makes binchunker swap byte order in the samples of audio tracks. -p Makes binchunker go into PSX mode and truncate MODE2/2352 tracks to 2336 bytes at offset 0 instead of normal 2048 bytes at offset 24. -r Makes binchunker output MODE2/2352 tracks in raw format, from offset 0 for 2352 bytes. Good for MPEG/VCD. Not a tutorial but a quick note, I don't know if this works for you or not but this worked for me. 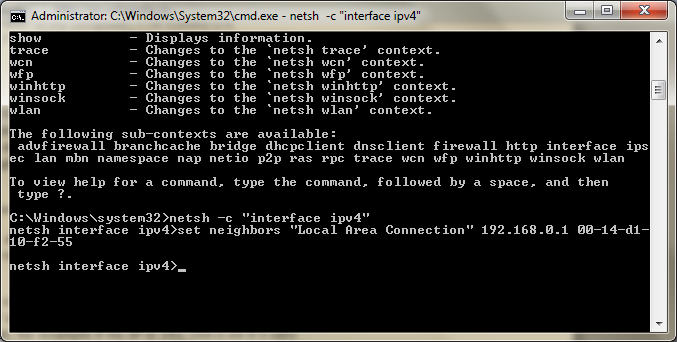 Earlier, my system was not showing the ethernet interface and I tried lots of stuffs to find the solution. Just a thought came across my mind and then I turned off my laptop and removed the battery and then inserted the battery after a while. On booting to the system, I found the ethernet to be working. Maybe this might help you sometimes so putting up this small note. I've previously enlisted few tools regarding batch image resizing in windows. 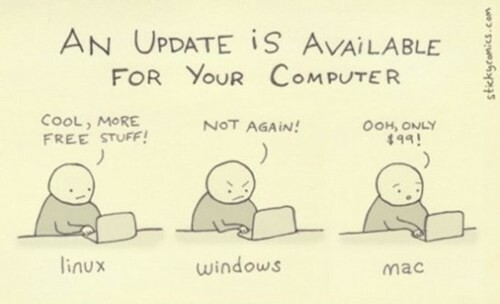 However they are limited to windows only and I was searching for something which was cross-platform. With some search, I found that GIMP loaded with David's Batch Processor would let us resize the images easily. DBP (David's Batch Processor) is a simple batch processing plugin for the Gimp - it allows the user to automatically perform operations (such as resize) on a collection of image files. Its main advantage is that the user does not have to learn a scripting language. Like the Gimp itself, DBP relies on a graphical interface. The user creates a list of images, and sets up the processing required for each image. The results of the current settings can be displayed. Once the required sequence of operations has been set up, DBP performs the same processing on each image in turn. The images can be colour corrected, resized, cropped, and sharpened, then renamed and saved to a different file in a specified image format. Check official website for more information on installation and downloads. You will most likely find a situation when you need to resize multiple images at once. 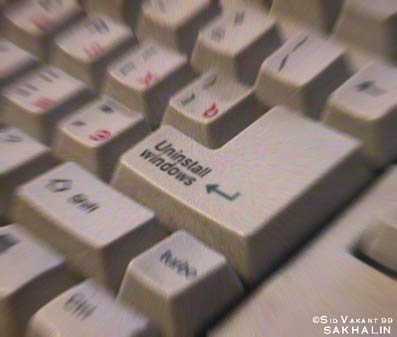 One example is while uploading pictures taken from high megapixel digital cameras. 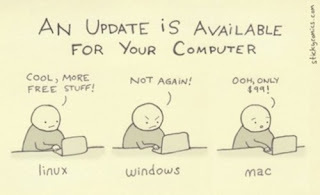 I had the same situation and googled to find few useful softwares for windows which I am going to list here. 1) Picture Resizer: An easy-to-use and free standalone tool for batch resizing of JPG pictures and photos. The tool is using high-quality resizing method, where color of each pixel is a weighted average of all covered pixels from the original image. Linear interpolation is used when zooming in. The algorithm is optimized to work with gamma-corrected pictures. 2) Fotosizer: Fotosizer is a free batch photo/image resizer tool. 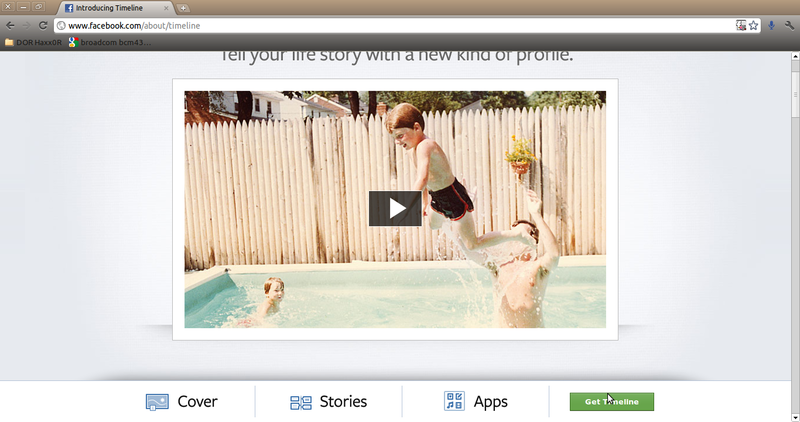 It lets you resize hundreds of photos in a matter of minutes in a quick and easy way. With Fotosizer, you can shrink JPEG image files, along with other supported formats, and dramatically reduce internet transfer times, enabling you to quickly and easily prepare your image collections to be published on the web. converter around. It supports major image formats such jpg, png, gif and bmp. You need .NET framework for this tool to work which is bundled along with most moder Windows OS I guess. 4) PhotoResizer: Simple tiny sized batch resizing tools supporting multiple formats in input but only jpeg as output. I hope some of these tools count useful for you as well like they did to me. 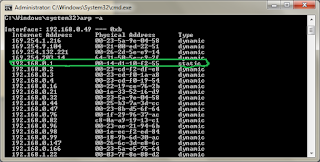 You can easily view the information about your system using a simple command in windows. The systeminfo command lets the administrator query for basic system configuration information. The command produces significant amount of information that might be useful for system troubleshooting and other purposes. 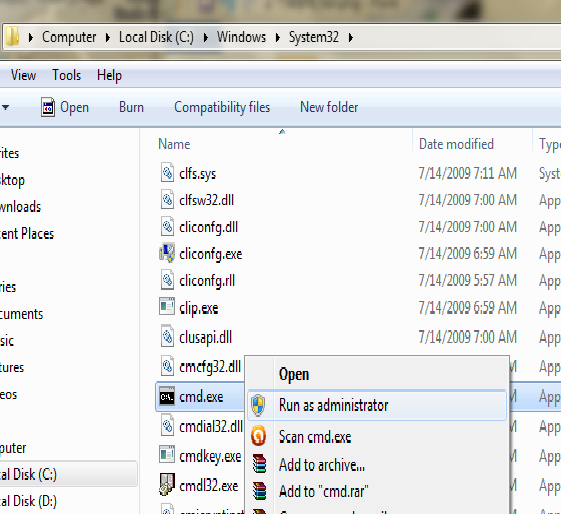 Open the command prompt by typing "cmd" or "command.com" in Run option. Other values /FO takes are TABLE and LIST.